Imagine you driving your car on the interstate with your family when you hear your car sputter and steam starts to come out. You open the hood and you notice a broken hose. You are in the middle of nowhere and the next car parts store is miles away from your location. So, what do you do? Easy, you just pull out your 3D printer, look for the hose design on the web and bam!, print yourself a new hose. Sounds like a bright future for 3D printing? This future is oriented towards creating pieces that are useful at the moment. It is to become part of the “I want it now” culture. In fact, 3D printing is already used to print important manufacture pieces. Some airlines are starting to invest money in the research to manufacturing aircraft parts through 3D printing. For instance, Singapore Airlines Engineering Company recently signed a deal with Stratasys to create an additive facility for the printing of aircraft parts. Even though the company will not be printing engine parts at first, they will be implementing it to interior designs things, like trays o window shades. Let’s take a look at some of the things that 3D printing may have for us in the not-so-far future. How about being able to print a new dish every time your toddler breaks one? We will have corporations placing their bets on the development of new materials for printing. So vendors will put their emphasis on understanding the chemistry behind materials to turn them into printing material. We will get the development of materials that resemble human tissue for instance, which would be a great breakthrough since parts could be made on demand as patients arrive at the hospital. If you think not too hard about it, you might see why printing metal parts could be a challenge. Well, there are metal 3D printers, but the process requires so much work that it cannot be placed on the market as the price would be too high. Expect more studies on how to lower costs of metal printing. Companies such as Desktop Metal and Markforged deposit metal with a substrate material, that leaves the metal, making it solidify, once the structure has been built and is ready to release. Until now, most metal printing devices are too expensive. The future holds a tremendous lowering of these costs. 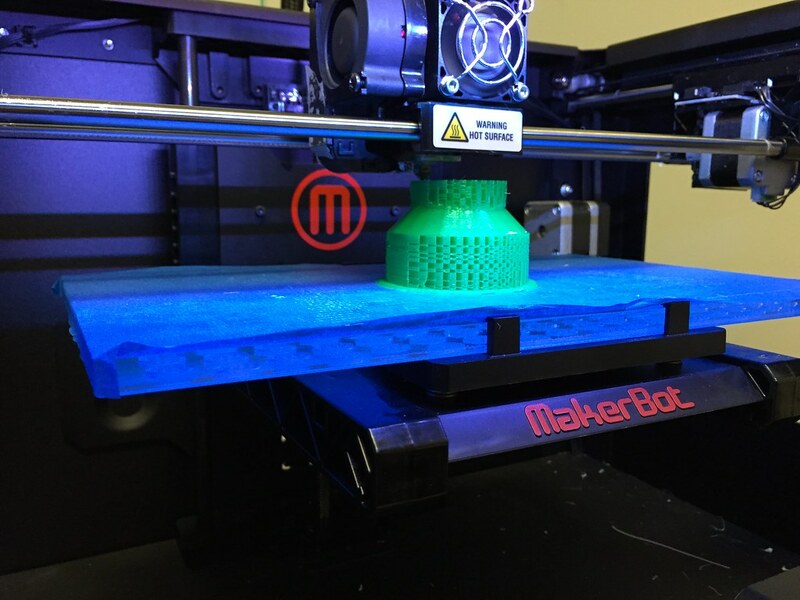 Additive manufacturers will be demanding more design tools. In simple terms, they will be requiring a digital model of a certain tool, add new features to it, and get it printed. So, not only will institutions be able to create 3D-printed designs when needed without having to go buy it or get it online and wait for 2-3 days for it to arrive. With 3D printing, tools with new designs will be created, opening the door for the invention of new products. Sounds a bit contradictive. How can something be produced in mass and get customized? For example, whenever dentists need a model of a patient’s teeth, they insert that unbearable goo that later solidifies inside your mouth. New 3D printing technology will make it possible for doctors to skip that step, get a digital scan of the patient, and use clay to reproduce what is needed. There is no doubt that 3D printing will be a game changer for everyone. But this is the 21st century, where we seem to be getting used to advance technology too soon. Biomedical engineering is the implementation of machines and high tech to the solving of clinical issues. A bioengineer applies engineering principles to biology and healthcare. Since this also refers to the application of technology, it stands to reason that they must be at the forefront of advanced machinery and human knowledge. What is the Difference Between Bioengineering and Other Engineering Disciplines? The main difference between bioengineering and the rest of the engineering disciplines is that medical processes are applied to engineering projects. These processes aim towards a better application of medicine or the development of new medical processes. In this way, aspects of mechanical engineering, chemical engineering, mathematics, chemistry, and computer science get all integrated with biological sciences to improve the bioengineering process. This could be the design of a modern prosthetic or the discovery of a new protein in the human body. There are many disciplines associated with biological engineering, such as orthopedic implants, biomedical signal processing, stem cell engineering, clinical engineering, among many others. What to Biological Engineers do? Biological engineers can work in a wide range of settings and disciplines. There are so many opportunities out there for these engineers to innovate in the medical field. In the implementation of new medical technologies and discovery of new information. They can work in the testing of new medical technology, research, and development of new diagnostic tools and procedures. In the government, they can work at establishing standards for new equipment. When it comes to being on the fringe of advanced technology and how these people are changing the future, there are bioengineers working on tissue and stem cells technology to recreate human organs and extend the life expectancy and overall health fo people. Pacemakers, coronary stents, prosthetics, dental implants and so much more, have a group of engineers applying their knowledge to both the field of medicine and engineering to create products that enhance the quality of life of those in need. Also, clinical engineers work to make sure that medical equipment is safe for use in clinics. The truth is that Biomedical Engineer is a broad career that opens doors for many job opportunities. What is the Future of Biological Engineering? The way we practice medicine today is being dramatically changed, thanks to the medical advances made in the last few years. There have been revolutionary advances in medical diagnostics and medical imaging. Advances in medical equipment have greatly affected the lives of many patients and extending their lives. The future of biomedical engineering then rests on how we fight issues and obstacles we discover with medical treatments and medical devices in the future. Virtual reality was conceived as an idea decades ago. Movies and television imagined what it would be like and we fantasized about it. Today, the technology is now coming of age and we are only wondering what impact will it have in our lives. Only two years ago, we were imagining already the impact that virtual reality would have on the world. Last year was considered the year of virtual reality. So, how will VR continue to impact our world for the time coming? Needless to say, we consider that we made no mistake when we thought that VR was a technology that would have a great impact on gaming. This is in fact, the most demonstrated use for virtual reality. The technology has not yet visited most games but we can be sure that it will pretty fast become commonplace. Even cellphone gaming technology is moving forward and applying VR. Once again, it is still not available to everyone, mostly due to pricing but then you can easily go to your nearest arcade and get a taste of it. Just think about all the possibilities here. People will be able to literally sit on the toilet at the Alps! But beyond that vague use, people who are not able to visit a museum or go to any place for whatever reason will now be missing nothing. Or the real estate agent that will now be able to show their potential clients houses and properties without having to physically go there. It is a lot safer for practicing surgeons to practice their craft on other than real people. But then it is also better to practices surgery on something that is not a plastic model or a dead body donated to science. Surgeons can use VR to better train themselves through a fully-interactive and accurately modeled specimen. Better trained surgeons is good for all of us. With the return of 3D movies, the VR possibility seems a bit remote. Just try to imagine that instead of only having images popping out of the same screen, you could actually get into the movie and watch it from different angles. The concept is still theoretical but it could take place and when it does, it will change film-watching forever. Virtual reality will give people with disabilities to explore the world, to feel, and see things that the able-bodied take for granted. They also have the right to enjoy the life that their bodies have kept them from. When virtual reality does that for them, it will help at boosting their confidence and desire to live.